Its been just a week that Microsoft released the official version of its Edge browser for android and it has already been downloaded over 1 million times on the Google Play Store already and currently ranking 3rd place in 'top free communication' rankings in Google Play. 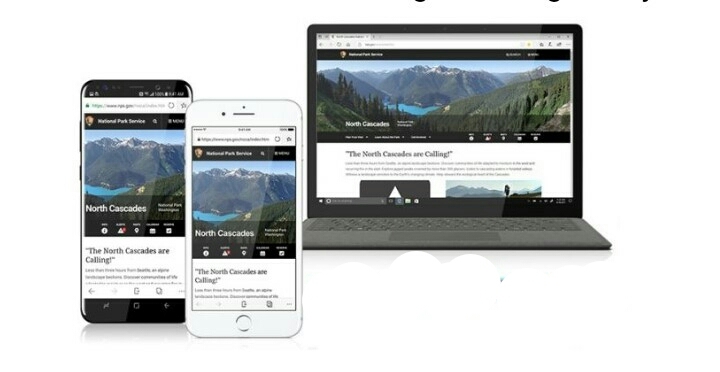 The Microsoft edge browser is definitely in for a big competition with the likes of Chrome, Firefox, Samsung browser and many others but the unique features that the browser comes packed with might give it a edge with time to come. One of the stand out features of the edge browser for mobile is the seamless integration with Windows 10 which makes it possible for you to sync your Favorites, History, and Reading List between devices, you can easily pick up where you left from by clicking on the icon on the navigation bar. The edge browser for android also comes with some basic features like a built-in dark mode (also night or reading mode), and also Private browsing for increase privacy. The browser is currently available for download for everyone on the Google Play Store. You can search for it on Play Store or click directly by clicking on the link below.